The Western Hotel i Galway, Irland: Reservér nu! 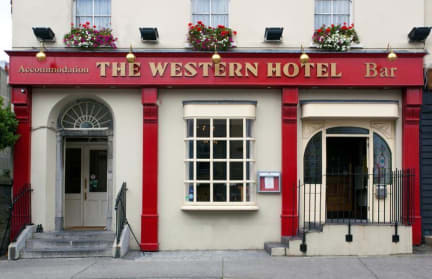 The three star Western Hotel is located in the heart of Galway city and offers the highest standard of accommodation. The family run hotel comprises of three impressive Georgian buildings and blends an old style feel with all modern conveniences. The Western Hotel has a long tradition of hospitality, enjoyed by our many guests throughout the years. A unique and friendly atmosphere allows you to feel right at home. Among the forty rooms we have to offer are single, double, twin and family rooms, as well as a room with facilities to accommodate our wheelchair using guests. The Western Hotel offers free underground Valet Car Park for all guests. Please note: All rooms are non-smoking. All bookings for dates between 26th and 31st July 2016 (inclusive) are charged a non refundable deposit for the first night at the time of booking.-The total price of the first night will be charged at time of booking. In the event of cancellation payment will not be refunded, booking cannot be modified or transferred to any other dates. In case of No Show on the booked arrival day reservation will be cancelled by the Hotel at 8am of the following day and no money will be refunded and the reservation will be cancelled in full. 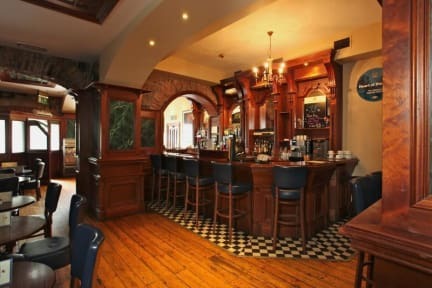 The Western Bar is a warm and welcoming place, traditional, friendly and renowned for the largest open traditional Irish music sessions in Galway. There are Traditional Irish music sessions on Thursday nights from 9.30pm, a local band playing all your favourite Irish songs on Friday from 9.30, a live band on Saturdays and Sundays from 9.30pm. Our bar is unique in that it is very much a local bar, popular with Galwegians, so mingling with the local people is very easy. Our meals are prepared from fresh local produce by our award winning chef. The Western Hotel also provides a private function bar which is ideal for hosting a variety of events. The Western Bar is happy to cater for birthdays, anniversaries, retirements, engagements, office parties etc. Our party menu offers a wide variety of delicious dishes to suit all tastes and budgets. Complimentary wireless access in the bar. The Western Hotel offers free underground Valet Car Park for all guests. Guests checking into CityPoint Apartments are also asked to arrive for their check -in to The Western Hotel. They will be given further instructions at reception.